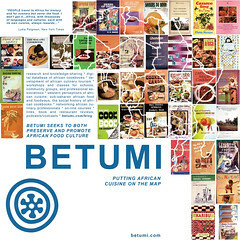 Fran Osseo-Asare is a sociologist who studies (and loves) the food of Africa — check out Betumi: The African Culinary Network, and her blog, BetumiBlog. She’s found that, on this continent with so many regional cuisines, authentic cookbooks can be hard to come by. Which may seem like a small point — but as she says, cookbooks are “a record of popular culture, social history, [and] my specialty, culinary creativity.” Culture, in short, is shared and honored through food. Last month at TEDGlobal 2007, Osseo-Asare launched the massive Africa Cookbook Project, collecting cookbooks from all African nations and regions. She’ll catalogue them and, eventually, digitize them. If you have African cookbooks, or want to learn more about the cuisines of Africa, get in touch. And watch this space: Video from TEDGlobal 2007 will start appearing on TED.com this month.